Alex Pauk, composer, conductor, educator, entrepreneur, had much to do with revitalizing Canadian orchestral musical life for composers by founding Esprit Orchestra in 1983 as Canada’s only orchestra devoted to new music. Esprit, with a core of 50 of Canada’s best new music instrumentalists and an annual subscription series in Toronto, encourages composers from across Canada to take bold new directions. Through building and sustaining its high calibre performances, commissioning programme, innovative programming (80% Canadian), recordings, performing arts videos and DVDs, Toward a Living Art Education Programme, In Your Space outreach initiatives, tours and International relations, and interdisciplinary arts and media ventures, Pauk has made Esprit a major force for developing and promoting Canadian music at home and abroad. As a conductor he attains performances of the highest caliber on stage and in recordings. Every Esprit concert since the group’s founding has been recorded for broadcast on CBC Radio. His innovative programming and commitment to the community through Esprit have garnered SOCAN and Chalmers Awards as well as three Lieutenant Governor’s Awards. He was named Musician of the Year (1999) by peers at the Toronto Musicians’ Association and he has helped many composers advance their careers through commissions, high profile performances, recordings and broadcasts. Pauk’s recordings of music by Canadian composers Chris Paul Harman and Brian Current helped them win, respectively, prizes in the International Rostrum of Composers (Paris) and Barlow (USA) competitions. Pauk’s commissioning, performance and promotion of Canadian music (composers of all ages and stylistic trends) is central to his work with Esprit. His six CBC Records compact discs of Canadian music are an important set in the overall catalogue of CDs in Canada and his work with performing arts filmmaker Larry Weinstein of Rhombus Media, with projects such as Ravel’s Brain, have set new standards in the genre. Since 1985, Pauk’s Toward a Living Art Programme with Esprit has provided approximately 1,500 students annually with a range of experiences; “sitting in” with Esprit musicians at rehearsals and performances, composing for Esprit, attending special student concerts and workshops, receiving free concert tickets and study guides. Pauk has been a leader in taking new music out of the concert hall and to people in their communities with performances in unusual locations such as the CN Tower and night clubs, and he has provided opportunities for choreographers and dancers, stage and lighting designers, actors and directors and media and visual artists to combine their talents with Esprit in adventurous cross-disciplinary projects. Pauk has lead Esprit on several Canadian tours (including Calgary Winter Olympics Arts Festival 1988, Western Canadian Tour 1998, and Montréal/Nouvelles Musiques Festival 2005) and in 1997 initiated an ongoing exchange and touring project with The Netherlands, a venture which included Esprit’s debut European tour in 1999 and remains vital to this day. Under Pauk’s direction Esprit was awarded the 2005 Vida Peene Fund for excellent standards of performance and innovative programming. Alex Pauk has a very wide range of experience as a composer with works for every kind of performing ensemble (some including electroacoustic sound), the theatre as well as dance companies. Revealing this depth of experience, his most notable compositions of recent years include; Touch Piece, a multimedia work for full orchestra, 16 channel surround sound with electroacoustic sound, sounds of nature and altered orchestral sound projected from loudspeakers, multi-screen video environment (images of nature and the Cosmos) and fabric sculptures with special theatrical lighting; Farewell to Heaven, a full length work for the Menaka Thakkar Indian Dance Company (blending Southeast Asian musical elements with Western orchestral sounds); three works involving important Canadian virtuosos: Concerto for Harp and Orchestra (Erica Goodman – harp), Concerto for Two Pianos and Orchestra (Duo Turgeon – pianos) and Flute Quintet (Robert Aitken – flute with Cuarteto Latinoamericano). Currently Pauk is composing a work for large ensemble commissioned by La Société de musique contemporaine du Québec. Pauk graduated from the Faculty of Music, University of Toronto, in 1971, attended the Ontario Arts Council’s Conductors Workshop, helped found the Arraymusic in Toronto, then moved to Japan for conducting studies at the Toho Gakuen School of Music. In 1973 he settled in Vancouver and established the new music group Days Months and Years to Come. 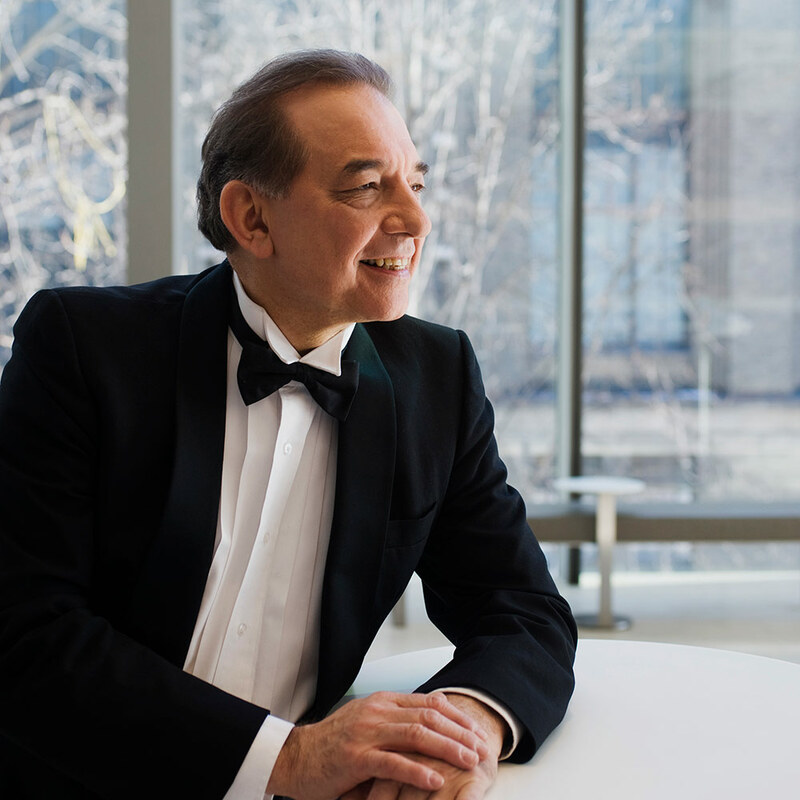 After studies in Europe in 1978⁄79 he made Toronto his base, founded Esprit Orchestra, served as cochair for the 1984 ISCM World Music Days and was Music Director and Conductor for the Satori New Music Festival (Winnipeg Symphony). He has conducted opera including R. Murray Schafer’s Princess of the Stars performed on Wildcat Lake, Haliburton Forest and Wildlife Reserve and Timothy Sullivan’s Dreamplay and Charles Wilson’s The Summoning of Everyman for Opera in Concert. In 2004 he was guest conductor for the Ergo Ensemble on their tour to Lithuania. Pauk has composed more than sixty works and has both composed for and conducted CBC Vancouver Orchestra, New Music Concerts, Vancouver New Music, Québec Symphony, Hannaford Street Silver Band and the Toronto Symphony. Pauk is the recipient of the 2007 Yorkton Film Festival Golden Sheaf Award and the 2007 Molson Prize administered by The Canada Council.